Happy Thanksgiving friends! We hope you will get to spend time enjoying the holiday with family and friends. This is the time of year when we begin bracing ourselves for cold weather, crowds and holiday weight gain. It is a common belief among Americans that holiday parties and feasting can result in a weight gain of 5lbs or more. In a prospective study of holiday weight gain featured in the New England Journal of Medicine the data showed that average holiday weight gain is less than most expect. Weight gain observed during the holiday period was 1-3 lbs. What is alarming is that most people don't lose that weight throughout the year leading to an increase in weight over many years. One to three extra pounds may not seem like much but after 10 years we're looking at an additional 10 to 30 lbs, no thank you! Here are a few tips for weight management during the holiday season. Plan holiday meals at normal meal times instead of adding an extra meal or skipping a meal and arriving to the table ravenous. Choose smart sancks to maintain blood glucose and energy levels. Listen to hunger and fullness cues and remember it can take up to 20 minutes for our stomach to let our brain know we've hit our comfortable limit. Drink plenty of water, especially if partaking in adult beverages. Include physical activity in your holiday plans like ice skating or a game of flag football with the family. Look for healhy modifications for traditional holiday foods, try steaming green beans instead of sauteeing in butter or incorporate fruit in baking instead of relying on added sugar for sweetness. Don't feel compelled to eat everything offered, hosts will understand and in another year all of these foods will be available again. Be mindful of portion sizes and don't force yourself to "clean your plate". Enjoy the non-food related aspects of the holidays like socializing, music and gift-giving. November is American Diabetes Month. According to the National Diabetes Statistics Report there are nearly 30 million Americans living with diabetes. There were 1.7 million new cases in 2012 and 25% of Americans over 65 have diabetes. This disease does not discriminate; young and old, male and female, and people of all racial and ethnic backgrounds are affected by diabetes. Most of us have a family member, friend or co-worker who is living with diabetes. The American Diabetes Association is busting some common myths about diabetes and lifestyle management for people living with diabetes. Myth: Diabetes is caused by eating too much sugar. Fact: Type 1 diabetes is caused by genetics and unknown factors and type 2 diabetes is caused by lifestyle choices and genetics. Myth: Diabetes is not a serious disease. Fact: Diabetes is a growing epidemic that takes a physical, emotional and financial toll. Myth: You have to lose a lot of weight for diabetes to improve. Fact: Losing 7% of your body weight can offer significant health benefits. Myth: People who use insulin are unsafe drivers. Fact: Most people who use insulin can operate motor vehicles safely. Myth: Healthy foods won't raise my blood glucose. Fact: Eating too much of any food, even a healthy food like fruit, can lead to high blood glucose. Myth: People with diabetes can't get tattoos. Fact: It is considered safe as long as diabetes is well controlled. Myth: People with diabetes are more likely to get colds and other illnesses. Fact: People with diabetes are not more likely to get ill however the illness can make blood glucose difficult to control. Myth: It's possible to have just "a little" diabetes. Fact: Everyone who has diabetes runs the risk of serious complications. Myth: People with diabetes can feel when their blood glucose level goes too low. Fact: Not always, some people can't feel symptoms of hypoglycemia. Myth: People with diabetes cannot eat sweets or chocolate. Fact: If eaten in the correct portions as part of a healthy meal plan, or combined with exercise, sweets and desserts can be eaten by people with diabetes. For more information on diabetes and lifestyle management visit the American Diabetes Association at diabetes.org. As many of my friends know Halloween is my favorite holiday and it also happens to be my birthday. I must have been born with a sweet tooth! Not only did I get a bag full of candy from trick or treating but I also had birthday parties complete with cake and ice cream. Now you can understand why this is my favorite holiday. I still enjoy Halloween a lot as an adult however as a Registered Dietitian I can't help but be amazed at all the candy that is consumed and consider the effect it can have on blood glucose. Ever year more than 35 million pounds of candy corn is sold. This is equivalent to 9 billion pieces which is enough to circle the moon 9 times if laid out end to end. Impressive or frightening? I can't decide! I encourage everyone to enjoy the holiday and all the tasty treats but don't get tricked into overindulging. I suggest limiting candy consumption to 1-2 carbohydrate servings with meals and snacks. To keep blood glucose from rising rapidly I recommend pairing this with a protein-rich or fiber-rich food. Below is a list of 1 carbohydrate servings of popular Halloween candy. Remember, there are many fun Halloween activites that aren't focused on sweets. Pumpkin carving, haunted houses, parades and costume parties are just a few ways to celebrate without the calories, added sugar and trans fat. Whatever your plans may be, we wish you a fun and safe Halloween. This week for Wellness Wednesday we're talking about how we can "go green" with our nutrition. When we think of leafy greens we usually think of salads. While we love a good, tasty salad we want to encourage our friends to incorporate dark green vegetables into their diets in different ways. Leafy greens are versatile and have many flavors to compliment different dishes. Winter greens like cabbage, collard greens, kale and mustard greens are more tender and sweet during cooler months. Spinach, chard and lettuces are at their peak during springtime. Try sauteeing, blanching steaming, juicing or blending your favorite greens to give your meals and snacks a nutritional boost. Cruciferous vegetables like kale, collard greens and cabbage have been recognized for their potential role in cancer prevention. Leafy greens are low in calories and carbohydrate and high in micronutrients. 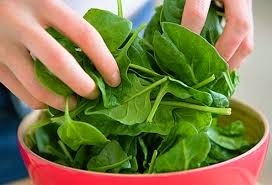 Most dark leafy greens are high in vitamins A, C and K. They are also great sources of fiber and potassium. The Dietary Guidelines for Americans recommends at least 1.5 cups of dark green vegetables per week, we think you can do better than that! I love to start the day with a green smoothie. A green smoothie is delicious, light and full of the nutrients I need to get going in the morning. Below is a recipe from Simple Green Smoothies that you can use for meals or snacks to keep you nourished throughout the day. Blend your leafy greens with your liquid first then add your fruit and blend again. If you choose to include one of the "optional" ingredients add at the end and blend once more. This recipe makes about 16 ounces of tasty, green smoothie. The 2014 Las Vegas Heart & Stroke Walk/Run is coming up on Saturday November 8th. You can participate as a walker, runner or volunteer. So far over $220,000 has been raised for the American Heart Association (AHA); the fundraising goal for this event is $320,000. This is such an important cause as one in three American die of cardiovascular disease and 60% will experience a heart attack or stroke-related event in their lifetime. The term "heart disease" is used to describe several problems related to cardiovascular health. These conditions include but are not limited to congenital heart defects, arrhythmia, heart attack, cardiac arrest, heart failure, heart valve problems, high blood pressure and high cholesterol. The AHA recommends "knowing your numbers" and taking steps to live a heart healthy lifestyle to enjoy a longer and healthier life. We encourage you to monitor your blood pressure, cholesterol, heart rate, weight, blood glucose and triglycerides. In addition to tracking you health status, here are some dietary tips for supporting a healthy heart. Avoid trans fat and limit saturated fat. Choose unsaturated fats and omega-3s like avocado, olive oil, nuts, oily fish and flax seed. Low fat foods have less than 3 grams total fat per serving and non-fat foods have less than 0.5 grams total fat per serving. Limit sodium to less than 2,000 mg daily for generally healthy people. Limit sodium to 1,500 mg daily for people with a history of heart problems. Choose foods with less than 300 mg sodium per serving. Include fresh fruits, vegetables and fiber-rich foods in the diet. Try to intake 25-30 grams of fiber daily. If you increase fiber intake, do so gradually and drink plenty of water. Manage blood glucose, diabetes is a risk factor for heart disease. Physical activity can play a major role in heart health, talk with your physician about what type of physical activity is appropriate for you. Managing stress, quitting smoking and maintaining a healthy weight are additional ways to support your heart. We hope you choose to live the heart healthy lifestyle and I hope to see you at the 2014 Las Vegas Heart & Stroke Walk/Run. Five Tips for Losing the Baby Weight. I've been on a mission lately... I like to call it operation lose the last ten pounds by Christmas. I'm trying to embrace my post baby body, but I feel far from glamorous. Life with a new baby has been so busy I barely have any time to myself which makes the whole losing the baby weight thing seem pretty far fetched. I was on vacation this weekend and something just clicked. Like duh Leslie, you do this for a living. You know what to do... You just have to make yourself do it. Here's the tips I'm using to get myself back to tip top shape, hopefully you find them helpful too! 1. Drink plenty of water. I know I talked about this in my breastfeeding post... But seriously, I can't stress it enough. Drinking enough water can be the key to weight loss. Feeling hungry? You could be dehydrated. Feeling tired? You could be dehydrated. Start by making sure pure drinking at least half your body weight in ounces. 2. Eat enough. Here's the deal... Breastfeeding burns a good amount of calories. So does working out. If you're partaking in both its really important to make sure you're eating enough. It could affect your milk supply if you're not and your body might hold on to that pesky body fat. The short not so sciency explanation is that muscle is more calorically expensive than body fat. If you're not getting enough calories your body will shed muscle... Not fat. Make sure you're eating an appropriate amount of calories. If you're not sure how to do this email me and I can help put together a plan with calorie and macronutrients tailored just for you and your goals. 3. Get some sleep. Hahaha... I know, this one is hilarious when you have a baby. But in all honesty your body will have a hard time shedding that extra body fat if you're not getting rest. 4. Make a plan and stick to it. It's true what they say: fail to plan and plan to fail. Make some goals in your head and decide how you're going to reach those goals. Get your significant other and friends on board too, a little accountability can go a long way. 5. Be gracious with yourself. This is the one I struggle with the most. If you're a new mom try to be patient with yourself... You just grew a human! My doctor told me nine months in, nine months out. I think that's a pretty good rule of thumb. Our bellies didn't get big overnight and we shouldn't expect to lose all our weight overnight either. You'll get there. Just don't give up! And as a side note, I don't want my kids watching me obsess over my weight. I want them to know that being healthy and feeling good is way more important that a number on the scale. Don't forget, those little eyes are watching us all the time. Oil Pulling, Fad or Fabulous? I've been receiving a lot of questions about oil pulling lately. People want to know what the health benefits are, what type of oil to use and if it is truly effective. While oil pulling is becoming a modern practice it originated from an Ayurvedic tradition. Ayurveda is a holistic system of medicine that evolved in India around 3000-5000 years ago and is now practiced in other parts of the world as complementary medicine. Ayurveda recommends oil gargling to purify the entire system. The theory is each section of the tongue is connected to a different organ such as to the kidneys, lungs, liver, heart, small intestines, stomach, colon, and spine. Health claims for oil pulling include clearer skin, better controlled diabetes, reduced inflammation, improved dental hygiene and whiter teeth. This practice has been used primarily for promoting oral health. Oil pulling is essentially swishing around a spoonful of plant-based oil in the mouth for 3 to 5 minutes. Suggested oils include coconut oil, sesame oil or sunflower oil. The Journal of Ayurveda and Integrative Medicine notes one study in which oil pulling was linked to a reduction in plaque index and gingivitis among adolescent boys. 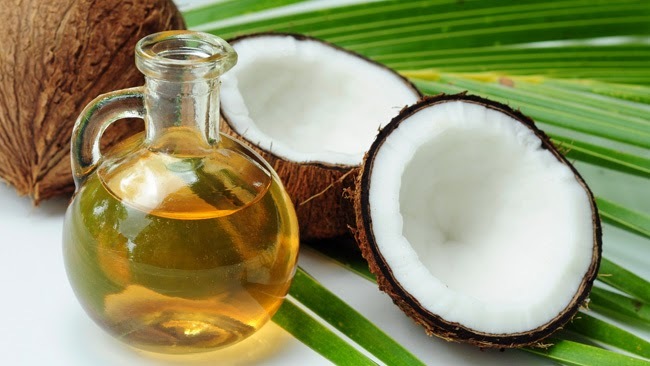 The American Dental Association however does not recommend oil pulling as a supplementary dental practice or in the place of regular dental care due to lack of research. If you decide to incorporate oil pulling into your lifestyle it is imporant to choose quality products, follow the practice correctly and inquire about any possible interactions. Many believe that if a therapy is herbal or natural it is free of potentially adverse effects; this is incorrect. To date, there have been few negative side effects associated with oil pulling but diarrhea or upset stomach has been reported and lipoid pneumonia has appeared in literature regarding oil pulling. Although there is a lot of support for oil pulling, from an evidenced-based standpoint, more research is needed to verify it's effectiveness. We recommend gathering as much information as possible and speaking with clinicians you trust in order to decide for yourself if a health practice is right for you.